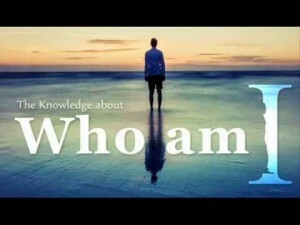 Recently, I was talking with a teacher and friend about self-realization. He made a simple comment that the soul is the total sum of all of our experiences. It struck me how this meant that every experience adds to our soul, and there is no experience that can detract from it. Since we share experiences with many other souls, that would mean that our souls overlap. Anywhere our experience overlaps, our souls would also overlap. And since we overlap with so many other souls, ultimately all souls are connected through this sharing of experience. So whenever a particular soul has a profound experience of awakened consciousness, or self-realization, their experience of the totality of consciousness by definition includes all experiences and all the apparent souls out there. Every experience is actually an experience of self-realization. In each and every experience, we are realizing a capacity or aspect of our soul, and by extension, an aspect of our true nature as Being. Since all there is, is Being, every experience is an experience of Being. Every experience adds to the totality of our understanding and realization of our true nature. There is no other possibility. This is a dilemma if we believe there is a better, truer, more spiritual aspect of our Being that we want to be realizing. What if my anger is part of my true nature? What if my greed, lust, fear, sadness, confusion, and pain are all part of my true nature, along with all the love, peace, and joy that are also part of Being? In hoping and waiting for a better experience, we may be overlooking the significance of our present moment experience, just as it is. It isn’t that sadness and greed are equivalent to peace and joy, but every experience has significance, since every experience is an experience of our true nature. The experiences that we may reject because we think they aren’t the correct experience may actually be made up of the same peace, joy, and love we are hoping to have. We think of this world as a world of opposites, or dualities. But if we look more closely, we find that the so-called opposites are really just different amounts of one thing. Light and dark are an example: There is no such thing as dark, only light existing as photons. There are no “darkons.” You can’t buy a “flashdark” and point it at things and make them disappear. However when there is little or no light, we call that dark, even though there is no such thing. Similarly, the only thing that exists is our true nature, which is filled with joy and love. If we are experiencing little or no joy or love, we may call that sadness or fear, although those are really only the relative absence of joy and love. And of course, there is often some joy in sadness and some love even in fear. What if every experience is a unique jewel of our multifaceted Being? What if every experience adds to the abundance of our soul and moves us toward the greatness of our true nature? What if what you are experiencing right now is unfolding your self-realization in the most amazing and unique way? Perhaps there isn’t some special experience of self-realization that is the way to realize true nature. Maybe every soul’s realization of true nature is meant to unfold in a completely unique way so that every soul’s experience can also add to the experience of the One Being that all souls are a part of, just as every experience adds to the richness of your soul. We resist this perspective when we want spiritual realization to look a certain way. We want our realization to be like the dramatic experiences you read about in the spiritual biographies of the great masters and teachers. We use the fact that there are bigger experiences of self-realization to discount and reject the smaller experiences we are already having. And yet, the experiences we are having are also aspects of our Being. Everything from the most human thought or emotion to the most cosmic dimension of existence is an aspect of Being. While there is freedom in experiencing a profound realization of an infinite dimension of our true nature, that freedom is only added to by an experience of a very human or limited dimension of that same true nature. Every experience adds to your soul, and no experience subtracts from your Being. This doesn’t mean you don’t discriminate between a small experience and a big one. Just as you can easily tell the difference between a teacup and a swimming pool, it is inherent in a small experience for it to feel small and for an infinite experience to feel infinite. While the experience you are having right now while reading these words may or may not be the biggest realization of your life so far, it is the realization you are having right now. It will naturally feel big or small or somewhere in between. It will naturally have the specific qualities of this unique moment and not the qualities of any other experience. And yet, because it is happening right now, it is the most important realization you can have. In fact, it is the only realization you can have. It’s too late or too soon to have any other experience than the one you are having right now, and this experience is making your soul richer and more fully realized than it was a moment ago. Will you accept the precious gift the mystery is giving you right now?